Data is based on apps monitored by Scout averaging 50 requests per-minute or higher. The response time correlation measures the ratio of an app's 95th response time duration to the mean response time. This value may range from -1 to 1. 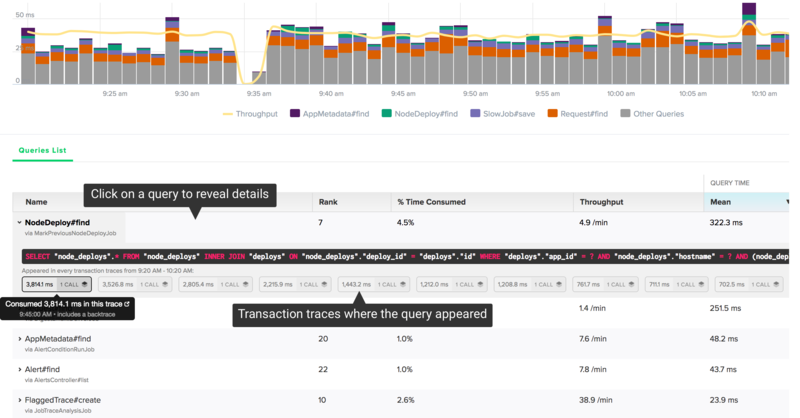 Database queries deserve some extra performance love, and our database monitoring addon is here to help. Capacity issues: an overloaded database can have a dramatic impact on your app's performance. Sorting the list of queries by "% time consumed" shows you which queries are consuming the most time in your database. Slow queries: it's easy for queries to become more inefficient over time as the size of your data grows. 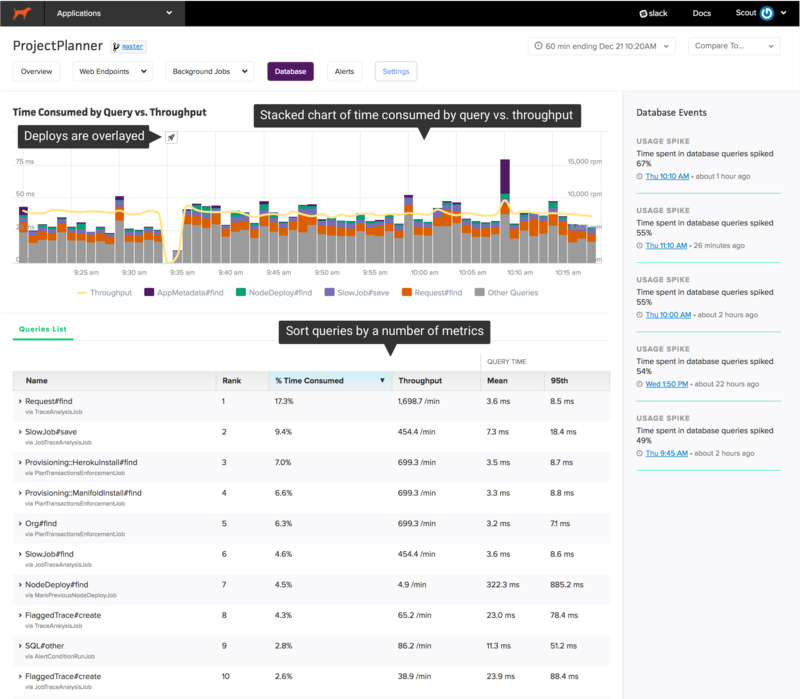 Sorting queries by "95th percentile response time" and "mean response time" makes it easy to identify your slowest queries. The source of that trace is immediately displayed. You can access this same detailed information directly from the web endpoint or background job detail views as well. 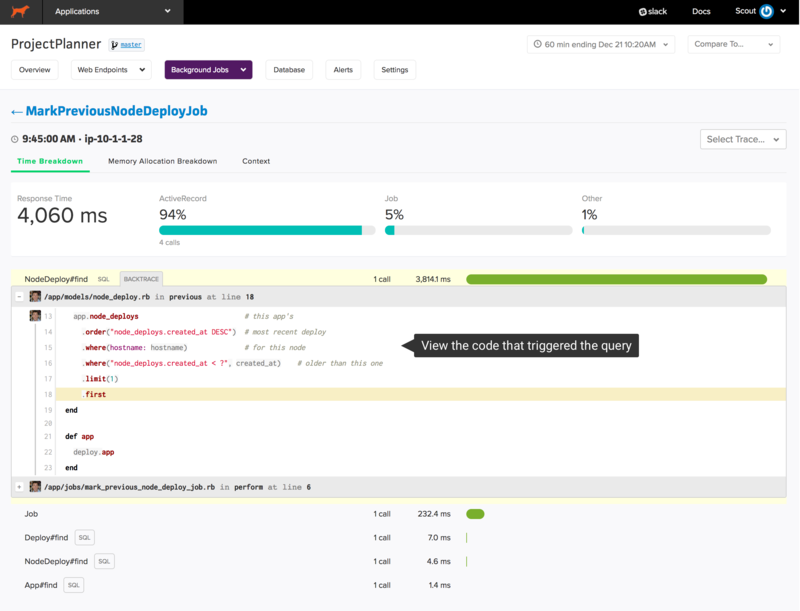 Just update - or install - the scout_apm gem in your application. There's no special libraries to install on your database servers. Database monitoring is available as an addon. More information is available on the billing page of your account. New to Scout? 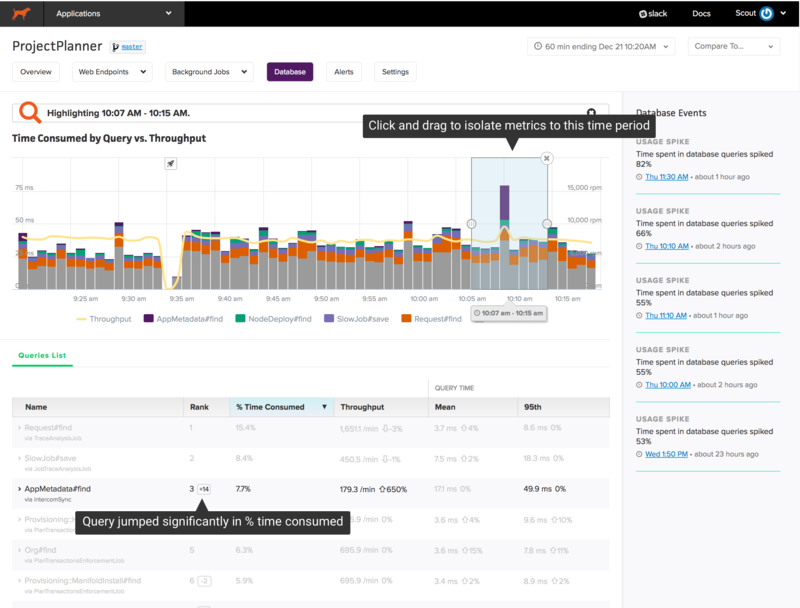 Try out database monitoring in our credit card-free 14-day trial or learn more about database monitoring in our docs.